Our Synagogue in 5, Rabin Alkalaj St.
(former Primorska St.), built in 1850. Our continued efforts to regain holding of our Synagogue is now entering its second phase. 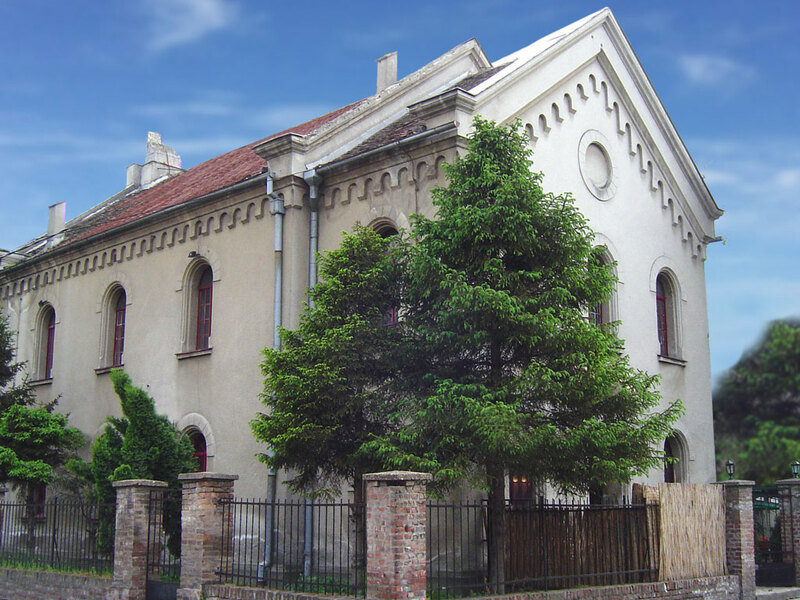 All attempts made so far to reach an agreement with Zemun authorities on the mode by which the Zemun Jewish Community would regain possession of the Synagogue have failed to achieve desired results. The end of September was the final date proclaimed by the state of Serbia as the term by which religious communities had the opportunity to effect return of dispossessed holdings. Making use of the given opportunity we also made an additional claim for the repossession of the 900 square meter building of the former Jewish school and its 19 are yard. The Synagogue which today measures approximately 300 square meters of building space and a 6 are yard continues to be in possession of the state of Serbia. The present owner of our temple is the municipal enterprise ''Poslovni prostor'' (office real-estate establishment). At the moment the Synagogue is a restaurant of national food. Should it be resolved that there is no possibility of repossessing our holding, under conditions currently in force, the state of Serbia is obliged to restore to us a premise at least three times larger than the Synagogue. We believe that there exist sufficient grounds to reach an agreement by which adequate exchange of ownership could be effected; meaning that we regain our Synagogue in exchange for the 900 square meters of school building space. If there is political will, we believe that there should be no impediments to a fair and above all ethical agreement. Bearing in mind that there have been no cultural activities in the Synagogue over the period of state ownership despite assurances made at the time of sale, the moment has come for it to finally be a religious and cultural center of Zemun.